Aretha Franklin, the Queen of Soul, will always remembered as one of the most iconic female vocalists of the music industry with her powerful pair of vocal cords. She moved millions with her soulful music and her otherworldly dexterity on the piano. 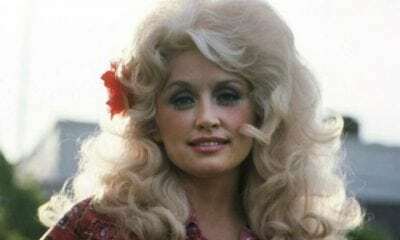 While many of her diehard fans can recite all her songs off by heart and recall every single glitzy gown the gospel diva performed in, there are many interesting facts they probably don’t know about her life. From Franklin’s favorite food to her very own street name, there is so much to learn about this musical prodigy. 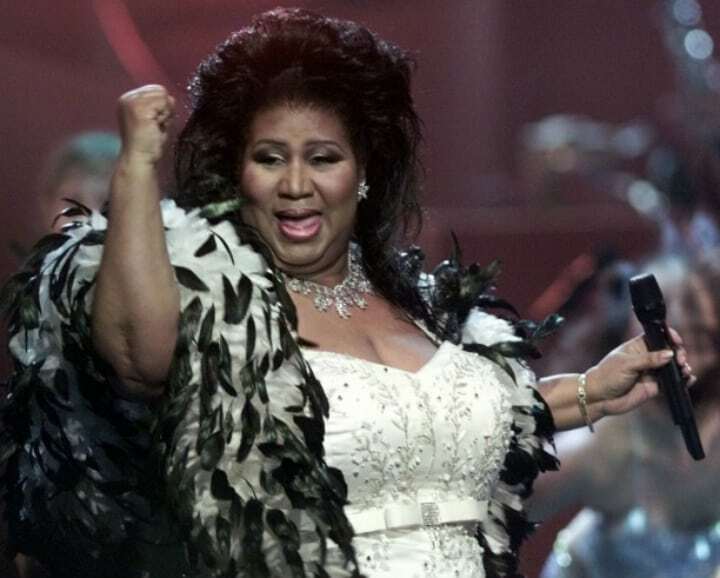 So if you want to know more, read here to find out the most incredible Aretha Franklin facts. 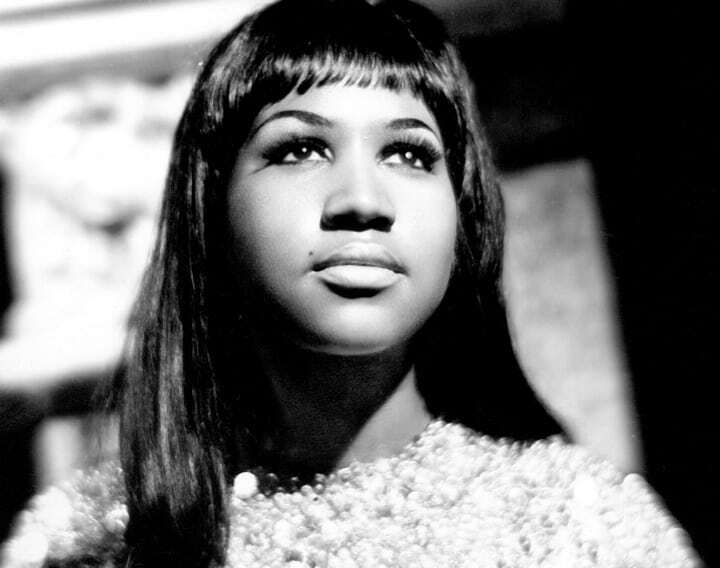 The song “Respect” made Aretha Franklin into a household name, hitting no. 1 on the Billboard pop chart when it was released in 1967. It morphed into the battle cry and anthem for the civil rights and feminist movements of the ’60s, but did you know it wasn’t originally her song? The Queen of Soul adapted her own rendition to the song that was originally an Otis Redding song recorded in 1965. Redding wrote the song in response to the respect he felt he deserved from his wife. He originally wrote the song for his tour manager Speedo Sims for Sims to record with his band. 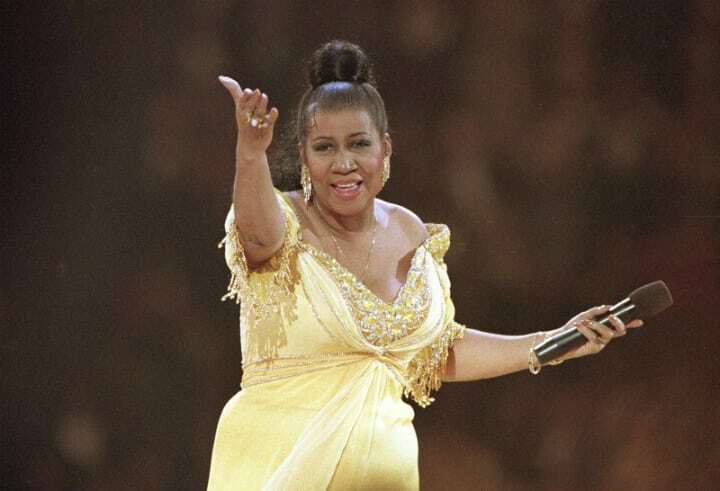 The Queen of Soul was wanted far and wide by all who wanted to see her perform, but traveling by air became very difficult for Aretha Franklin after a bit of a bumpy ride on a two-engine plane from Atlanta to Detroit in 1982. From then on she developed a severe fear of flying and preferred to tour America on her very own tour bus. She even had to turn down tea with the Queen and an invitation to the Diamond Jubilee of Elizabeth II in 2012 because of her anxiety with flying. 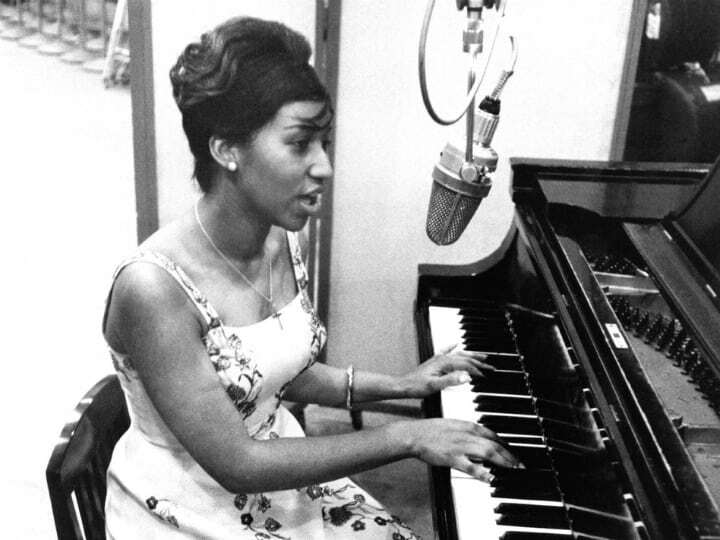 One of the best parts of watching Aretha Franklin perform was witnessing all the keys-a-blazin’ as soon as she started to play the piano with her magical touch. The Queen of Soul’s musical abilities were almost otherworldly, but what’s even more incredible is that Aretha was a self-taught pianist. As a young child, Aretha used to accompany her father to the New Bethel Baptist Church in Detroit, Michigan where he served as a minister. 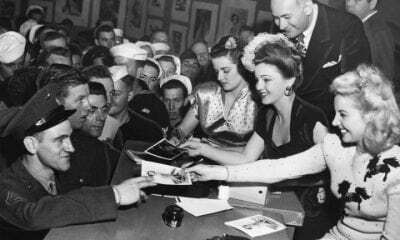 It was in the church where she sang gospel and taught herself how to play piano without knowing how to read music. Aretha Franklin and Whitney Houston met when Houston was just 9-years-old. Her mother Cissy Houston, a successful soul and gospel artist and backup singer for Franklin, Dionne Warwick, and Elvis Presley, took Whitney to Franklin’s recording studio, and the rest was history. From then on Franklin became Houston’s honorary aunt and earned the nickname “Auntie Ree.” Franklin was always one of Houston’s most respected musical idols and the two iconic divas shared a special bond and friendship. They also recorded the duet “It Isn’t, It Wasn’t, It Ain’t Never Gonna Be” in 1989. “We had a lot of fun that day. 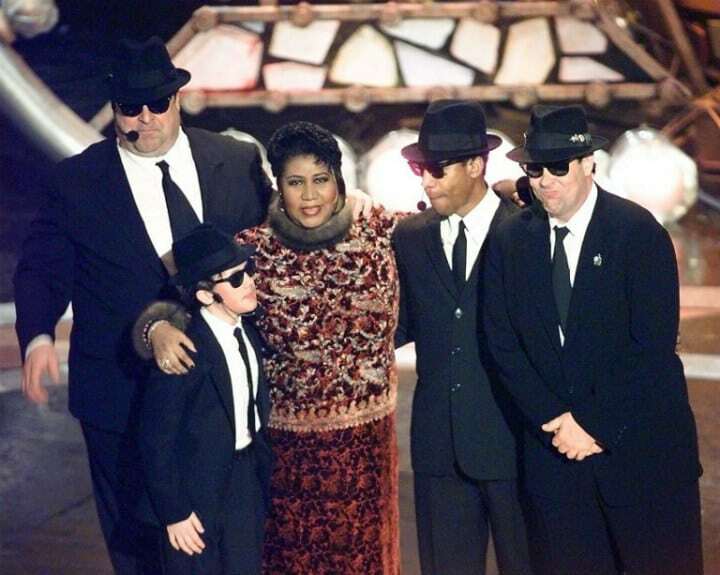 I was delighted to see her come along the way that she did,” Franklin told Rolling Stone. On January 28, 1955 at the tender age of 12, Aretha Franklin became pregnant with her first son Clarence, who according to the Inquisitr was the child of Donald Burk, a boy she met at school. Then on January 22, 1957, when Franklin turned 14, she again became a mother to her second son Edward, who was named after the father Edward John. Both of her boys took her last name and were raised by Franklin’s sister Erma and grandmother Rachel while she pursued her career. She gave birth to her third son Ted White Jr. in February 1964 and her youngest son Kecalf Cunningham in 1970. If you thought this fact was incredible then read on for even more mind-blowing Aretha Franklin facts. Believe it or not, Aretha Franklin the musical star dropped out of Northern High School in Detroit, Michigan when she was just 15-years-old to take care of her first son Clarence, who was born just two years before on January 28, 1955. This didn’t stop the musical prodigy from enrolling at The Juilliard School many years later in 1998 to study the piano. She wanted to learn everything about the piano even though she was already a successful international-selling artist and a self-taught pianist. It’s safe to assume that this school of dance, drama, and music was only too happy to see the Queen of Soul enroll at the institution. 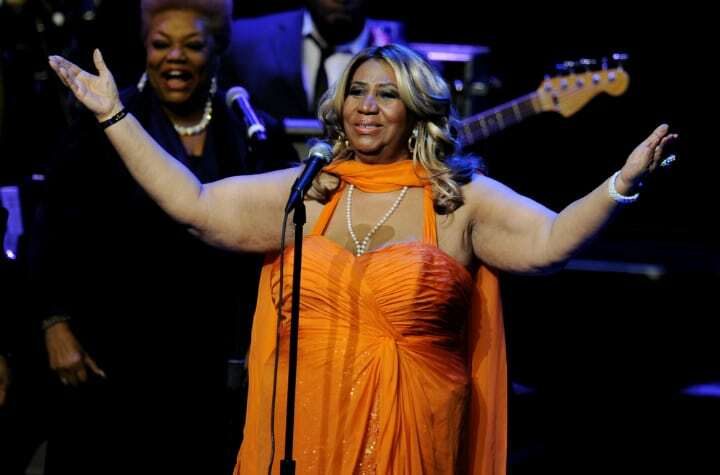 In 2010, Aretha Franklin fell in her home in Detroit, Michigan and fractured two ribs. While she was lucky to not have been even more seriously hurt, she had to cancel two concerts in New York because of the injury and the pain she experienced in her abdomen. A big part of Aretha Franklin’s early success was her sisters. The Queen of Soul entered the entertainment industry at an early age and was lucky enough to be surrounded by her family throughout every performance. When she performed in her father’s Baptist church, her sisters Carolyn and Erma would also perform by her side. 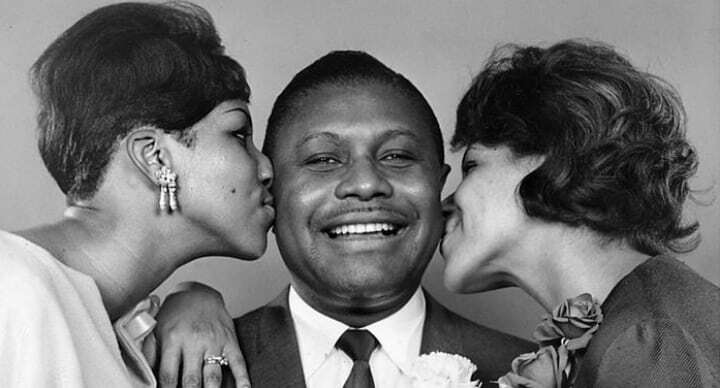 Carolyn and Erma, as well as her Franklin’s cousin Brenda Bryant all sang as backup singers for her early records. Her sister’s would also pursue their own careers in the music industry as singers and songwriters. With a pair of powerful vocal cords like Aretha Franklin’s, it only makes sense that her parents were serious talents themselves. Her father Clarence LaVaughn “C. 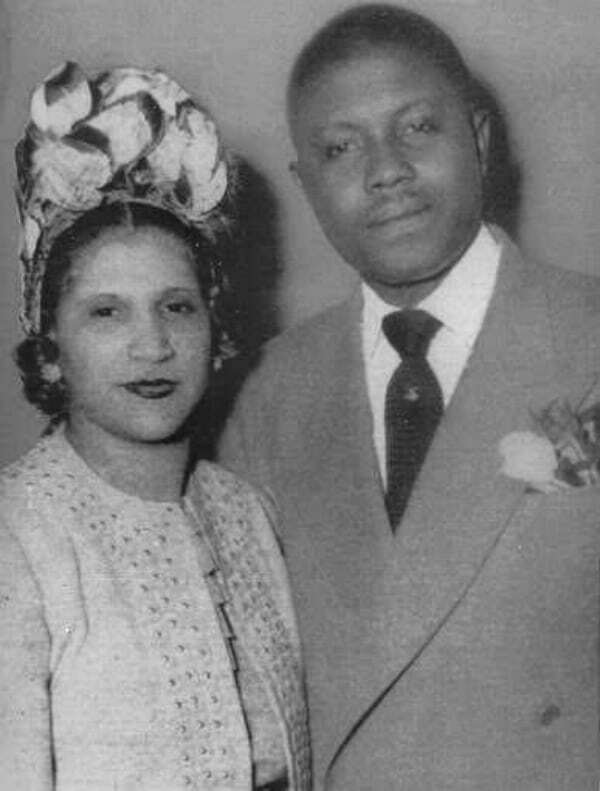 L.” Franklin was a Baptist minister and gospel singer, while her mother Barbara Vernice Franklin was an accomplished vocalist and piano player. C. L. Franklin was renowned for giving his emotionally-powered sermons in churches across the country, which earned him the reputation of the man with the “million-dollar voice.” Soon enough, Franklin’s father was a celebrity rubbing shoulders with the likes of Martin Luther King Jr., Albertina Walker, Clara Ward, Sam Cooke, and many more. If you possessed a four-octave vocal range like Aretha Franklin, you also wouldn’t be the biggest fan of auto-tune, which enables the correction of an out-of-tune vocal performance. In her prime, she could hit anywhere between a G2 and an E6, so this new-generation concept was always foreign to her. During several interviews, the Queen of Soul professed she didn’t even know what auto-tune is and held her tongue when asked her opinion of other pop diva’s use of the vocal enhancement device during their performances. Read on for more incredible facts about the Queen of Soul! 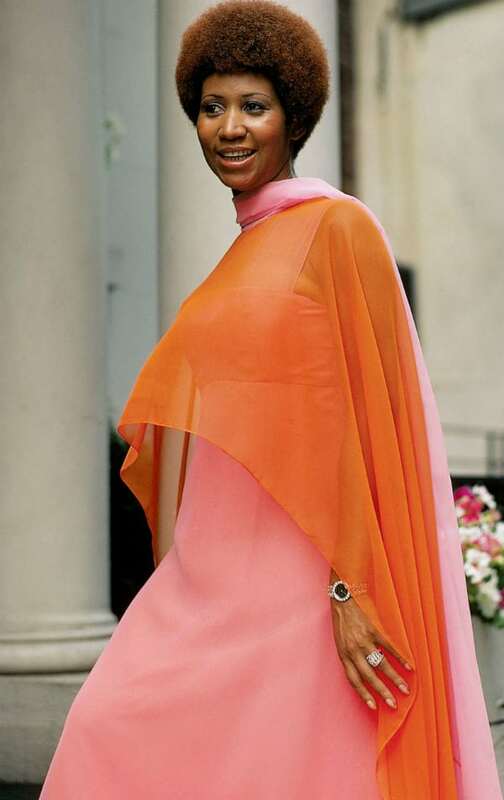 Aretha Franklin’s reign as the Queen of Soul commenced in 1967. It is said that the legendary radio disc jockey and promoter Pervis “The Blues Man” Spann crowned her Queen after a knockout performance at the famed Regal Theater in Chicago. It’s no surprise that the Queen of Soul adored a good hearty bowl of soul food. Her favorite was banana pudding, which she mentioned several times in the biography she co-authored called Aretha: From These Roots. 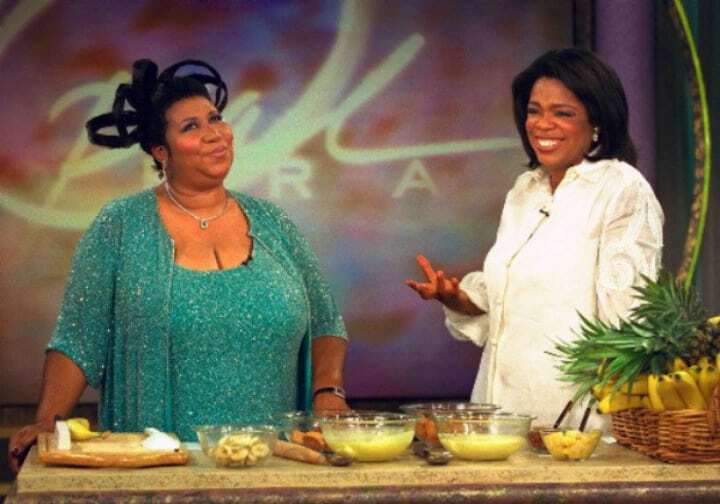 In fact, it was such a scrumptious dish for Franklin that she made it on The Oprah Winfrey Show in 1999, and everyone in the audience got to taste their very own portion of the pudding. When Aretha wasn’t singing her heart out, she loved cooking and being domesticated around the house. Besides for banana pudding, some of her other favorites were meat loaf, peach cobbler, fried chicken, pineapple ham, corn bread, peanut butter shrimp, Italian chicken, and black-eyed peas and ham. 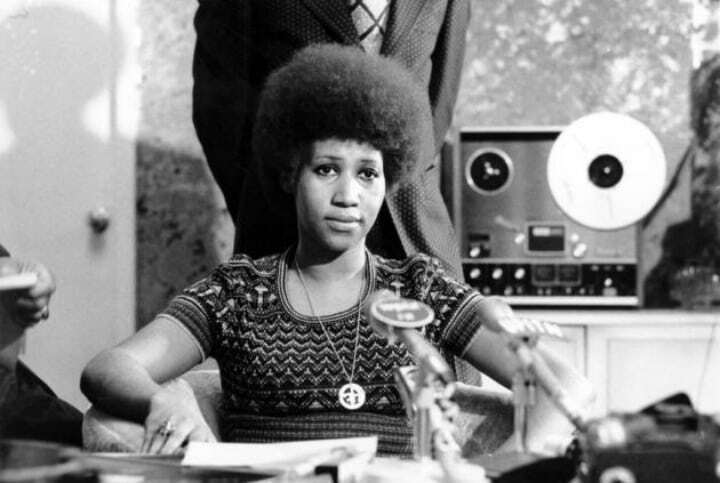 Aretha Franklin was a very private person and rarely discussed her personal life in interviews, especially when it came to her first two pregnancies and the death of her father, who was shot twice at point black range in his Detroit home in 1979 leaving him comatose until his death in 1984. 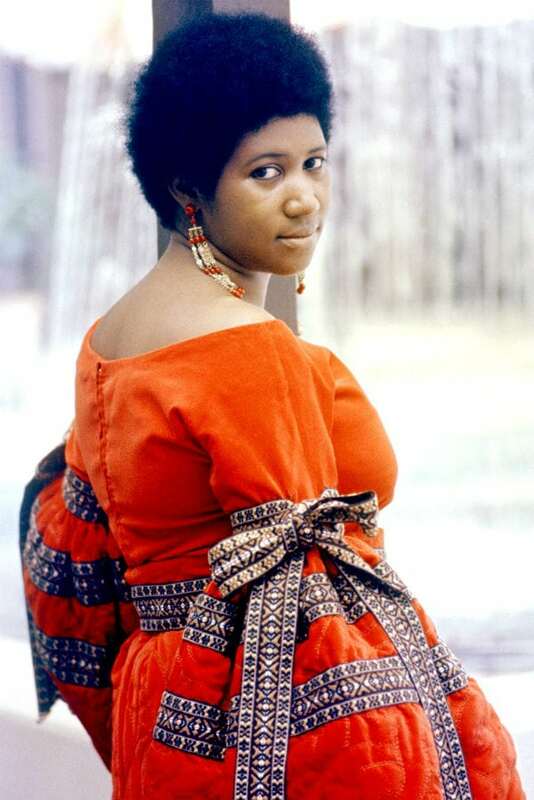 Aretha also disputes reports claiming that her mother abandoned her as a child. She called that an “absolute lie.” She recalled spending summers with her mother and siblings until she passed away in 1952 from a heart attack on Franklin’s 10th birthday. In the past few years there has been talk of a release of a biopic based on Aretha Franklin’s memoir, Aretha: From These Roots. Franklin told TV host Wendy Williams that she wanted Halle Berry to portray her at first, but then her focus shifted to another star because of her powerful vocal abilities. 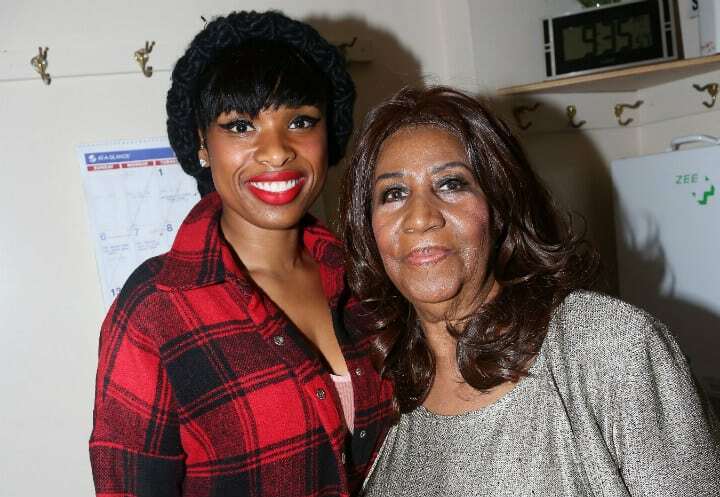 In 2015, Jennifer Hudson signed on to play Franklin in the film version of her life. A year later, Franklin told People that she gave the young actress her “hard-won stamp of approval.” The Queen of Soul was thrilled with the decision. Aretha Franklin was the first woman in history to be inducted into the Rock and Roll Hall of Fame in 1987 and was the second woman to be inducted into the UK Music Hall of Fame in 2005. This Queen doesn’t just rule soul music, she’s got rock and roll conquered too. What’s more, in 1979 the diva received her very own star on the Hollywood Walk of Fame, while her voice was declared a “national resource” of Michigan in 1985. 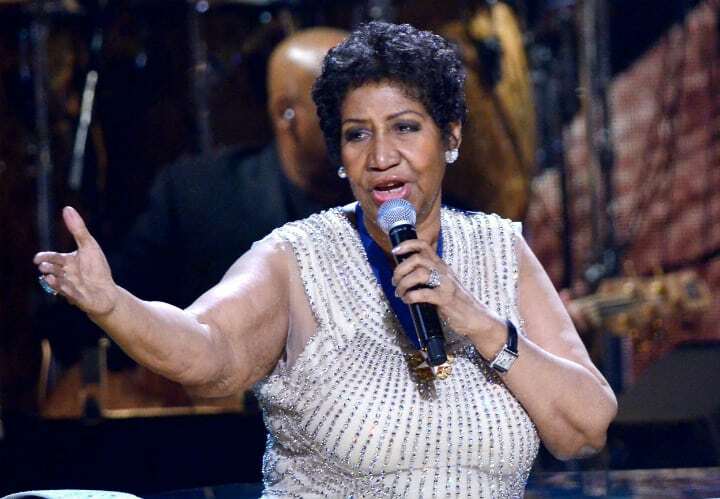 Former president Barack Obama declared that “American history wells up when Aretha sings,” when referring to the Queen of Soul’s performance of “A Natural Woman” at the 2015 Kennedy Center Honors. 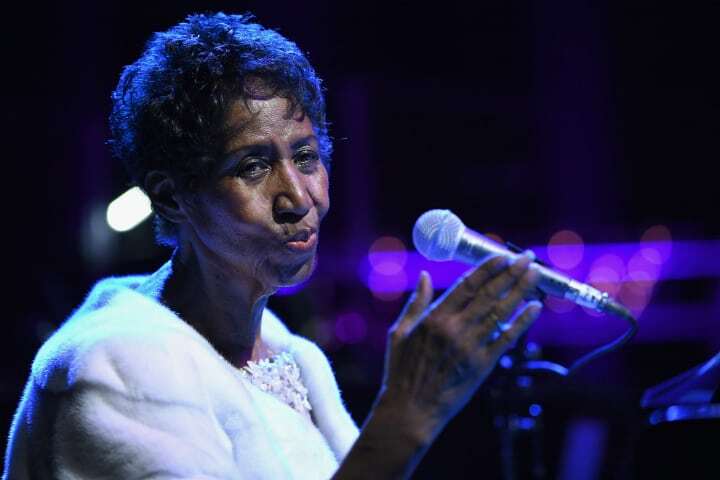 Continue reading for even more interesting Aretha Franklin facts! Everybody knows her as the Queen of Soul and her given name Aretha Franklin, but did you know that her second name was Louise? This is just one of the facts many of her diehard fans never knew about the star. She had humble beginnings, but Franklin became a household name in the entertainment world. Perhaps because she was dubbed the Queen of Soul, her middle name didn’t matter as much anymore. Either way, she is one of the greatest selling female vocalists of all time! “I Never Loved a Man (The Way I Love You)” is one of Aretha Franklin’s most iconic songs. But did you know that it almost didn’t happen? Like a lot of great works throughout history, this particular song didn’t come to be with ease because of a dispute in the studio. A disagreement allegedly occurred between the trumpet player and Franklin’s husband. Jimmy Johnson, who was a member of The Muscle Shoals Rhythm Section, recalled that her producer Jerry Wexler told the studio owner Rick Hall to fire the trumpet player. Aretha’s husband Ted White tried to smooth things over, but it only made things worse. 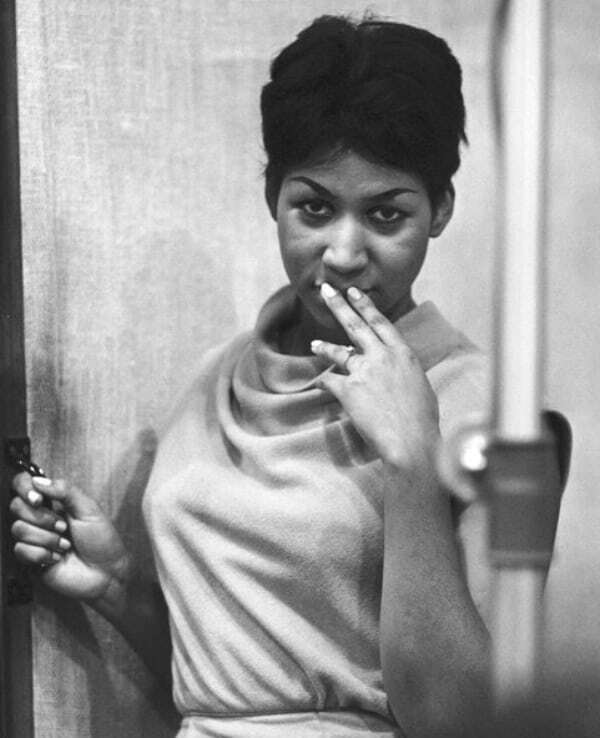 After only one day, Aretha and White left Muscle Shoals in Alabama and she finished the album in New York. 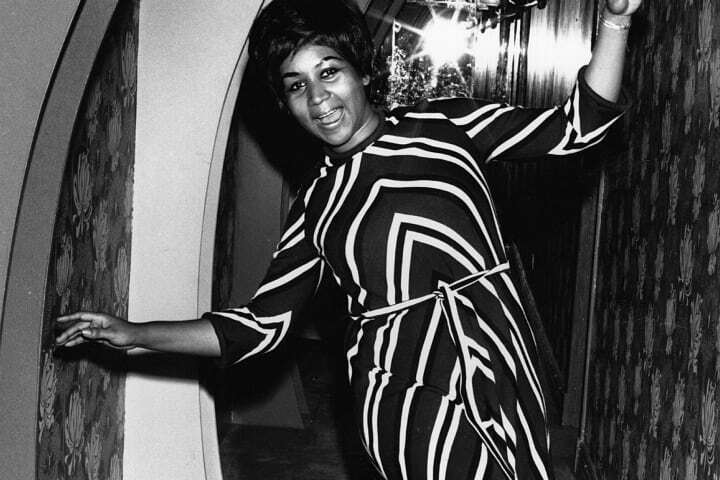 One trip to Alabama to Fame Recording Studios in Muscle Shoals changed Aretha Franklin’s career forever. Franklin first started out with Columbia Records, recording only minor hits, but when she came to Muscle Shoals with Atlantic Records to meet Rick Hall she made a breakthrough in the industry. Atlantic Records wanted Franklin to shift away from jazz and return to her roots of gospel and soul. This led to her first hit record “I Never Loved a Man (The Way I Love You),” which was recorded in the iconic studio. This was after the Queen of Soul already released 11 studio albums with Columbia Records. The Queen of Soul sang her first solo at the age of 12. She made her debut performance at the New Bethel Baptist Church in Detroit, Michigan, where her father served as the minister. He knew how beautiful her voice was and wanted to showcase it to the world. The first song she ever sang was “Jesus, Be a Fence Around Me.” From the moment the world heard Aretha’s voice, they knew she was made of something very special, which is why she became a star at such a young age. Five years after Aretha Franklin released her first album recorded in her father’s Baptist church, she went on to marry her manager Ted White in 1961. They shared a passionate but turbulent relationship, which is said to have caused problems in her performances. After seven years of marriage and one child Ted White Jr., the pair separated. 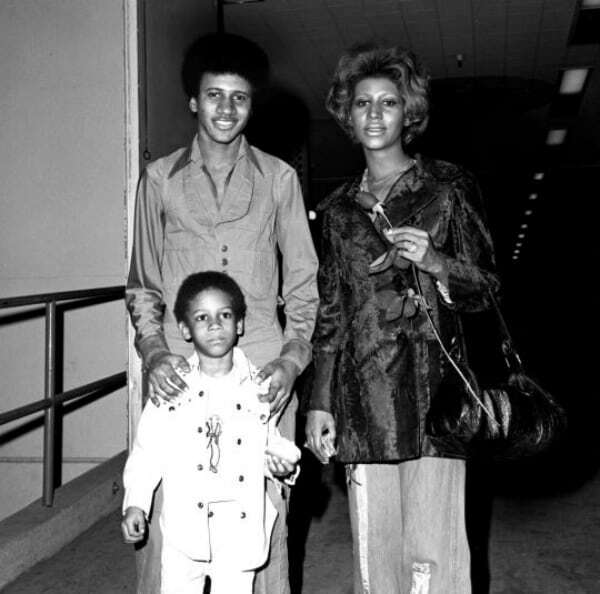 Their son is known professionally as Teddy Richards and played guitar for his mother’s band. Franklin then married her second husband, actor Glynn Turman in 1978 at her father’s church, but they separated in 1984. At one point, Franklin was also engaged to her longtime partner Willie Wilkerson. 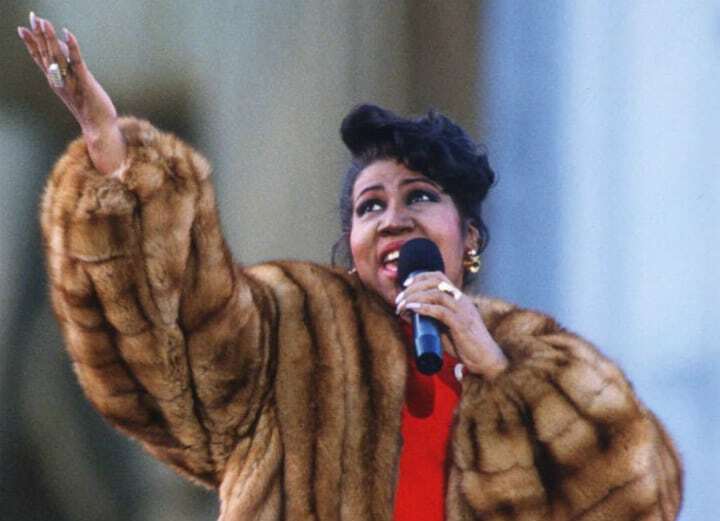 Continue reading for more amazing Aretha Franklin that you probably didn’t know until now! The Queen of Soul had a handful of famous childhood friends, which is not surprising as she grew up in Detroit, Michigan in a neighborhood that raised a number of music’s brightest stars. 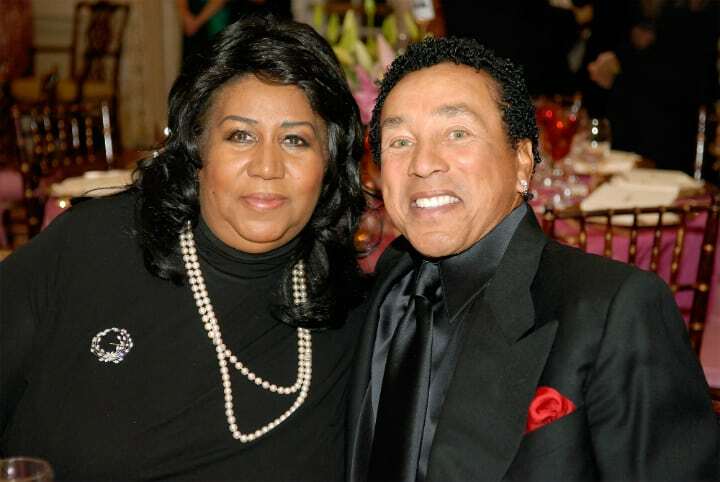 She rubbed shoulders with other prominent artists of her era and became very close to the legendary Smokey Robinson. Robinson was initially best friends with Franklin’s brother. They quickly forged an unbreakable bond both professionally and personally, and would remain lifelong friends. The duo performed a stunning duets together. 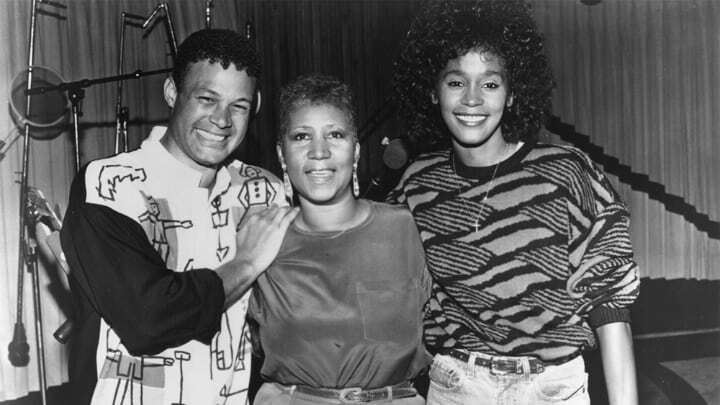 “It was always wonderful to do anything with Aretha. Aretha was, like I said, my ace. We were really, really close, and to do anything with her was a joy,” Robinson told Rolling Stone. 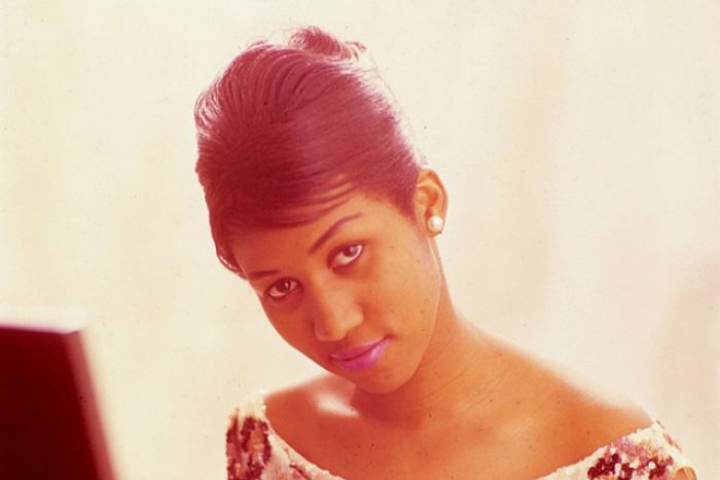 Aretha Franklin was only 14-years-old when she released her very first solo album. It was back at her father’s church, where she was first discovered and all her musical talents were originally cultivated, that she released her very first album. The album called Songs of Faith was connected to her gospel roots and all the songs reflected on that style. This was just the first step in her long journey of becoming a star in Detroit and around the world. Only a few years later would she finally become mainstream. 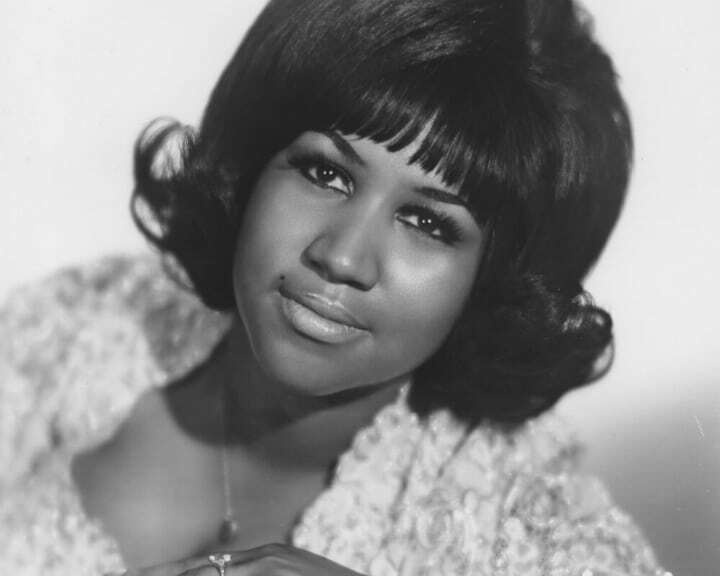 Despite being born in Memphis, Tennessee, Aretha Franklin’s heart was solely connected to Detroit, Michigan where she grew up. When she was a baby, Franklin’s father relocated with his family from Memphis to Buffalo for a short time and then finally settled in Detroit when Franklin turned two. For the rest of her life, Franklin called Detroit home and passed away in her home in the city. Her musical legacy with forever be linked with her ties to the city, which is why the city honored her with something very special. Read on to find out. 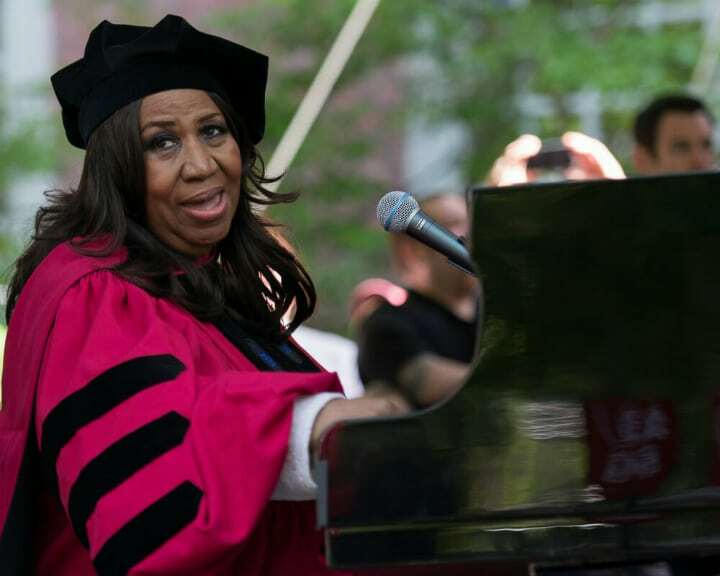 She might have been a high school dropout, but she went on to receive several honorary degrees from Harvard University and New York University, as well as honorary doctorates from Princeton, Yale, Brown, University of Pennsylvania, Berklee College of Music, among several others. As if that wasn’t impressive enough, Franklin also received an honorary Doctor of Law degree by Bethune–Cookman University in 1975 and a honorary Doctor of Humane Letters by Wayne State University in 1990. Now that’s what you would call an accomplished woman! 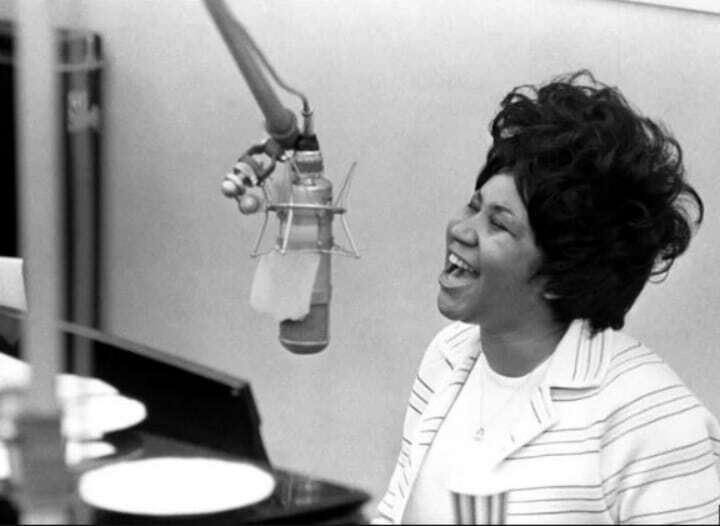 After many years with Columbia and Atlantic Records, and several with Arista Records, Aretha started her own record label, aptly called Aretha’s Records. She wanted to have total control of the process and finally choose her own music and songs without any outside intervention. 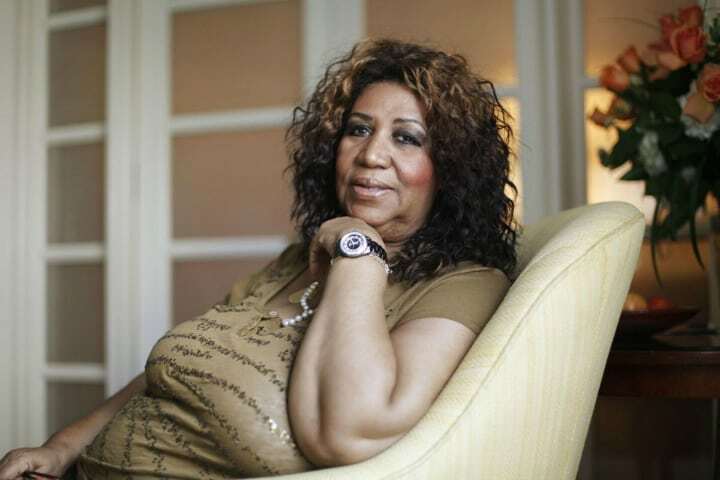 In 2011, she released the album Aretha: A Woman Falling Out of Love under her own record label. It was her 36th studio album and her second since leaving Arista Records. The album features collaborations with Ronald Isley, Laren Clark-Sheard, and Eddie Franklin. She also recorded duets with Richard Marx and Faith Hill. Read on for more incredible facts about the beloved Queen of Soul! First published in 1998, Aretha Franklin co-wrote her memoir Aretha: From These Roots with author David Ritz. The book spoke about the woman behind the voice and offered a captivating self-portrait of her life’s successes, struggles, and everything in between. 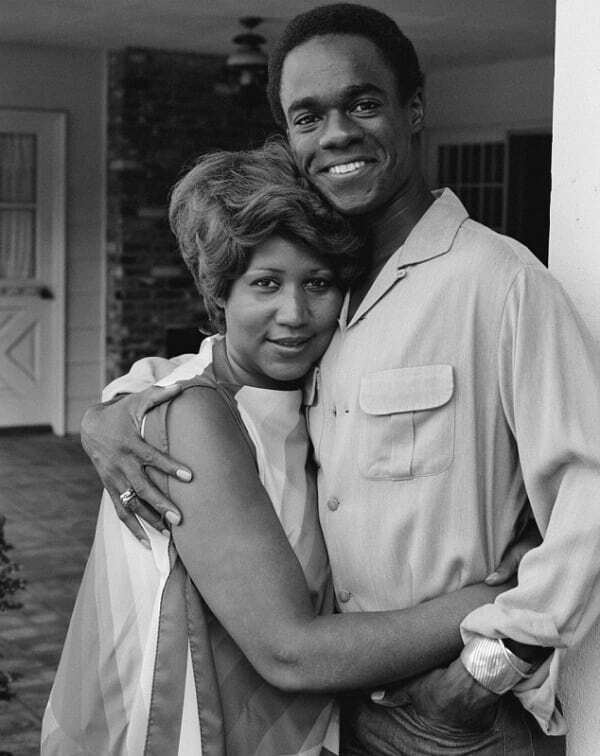 Franklin also co-wrote another book with Ritz called Respect: The Life of Aretha Franklin, which was published in 2014. This is another look at her life and the struggle to find her true voice behind all the fortune and fame. 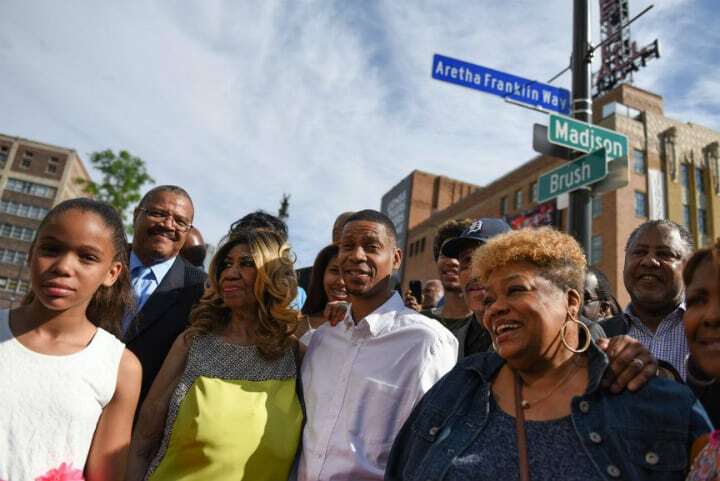 In the summer of 2017, the city of Detroit honored their longtime resident Aretha Franklin by naming a street after her. 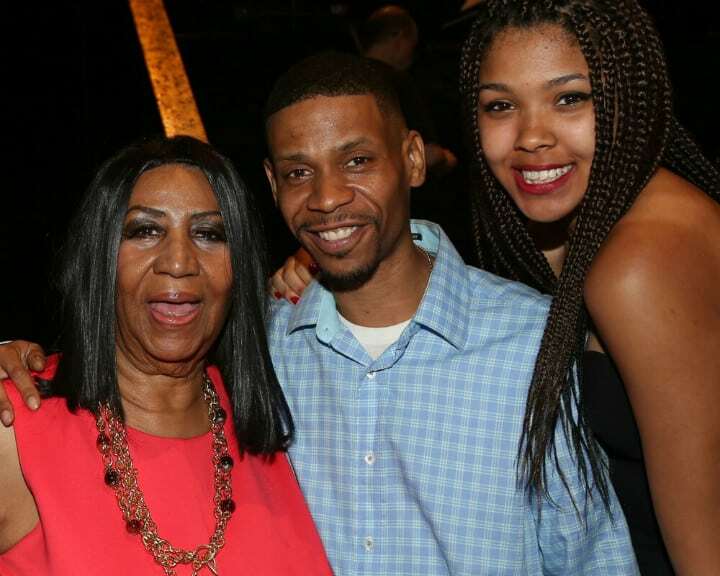 The city named the section of Madison between Brush and Witherell Aretha Franklin Way. Talk about the ultimate compliment! Considering her connection with the city and all her memorable moments there, it was only fitting for her to receive such an honor. This moment had a profound effect on the Queen of Soul and she got very emotional during the inaugural ceremony, which kicked-off a four-day Detroit Music Weekend. This would be her only film role ever, but what a memorable one it was! The film’s director said she would always add something different with every take she sang, so it was sometimes difficult to sync up her lips on screen. It was the first movie to be based on a Saturday Night Live sketch of the same name starring Dan Aykroyd and John Belushi star as “Joliet” Jake and Elwood Blues. “Think” became Franklin’s the seventh top 10 hit in the United States. She was also invited to sing at Bill Clinton’s inauguration in 1993 and headlined a concert that kicked off the Clinton/Gore inaugural campaign. 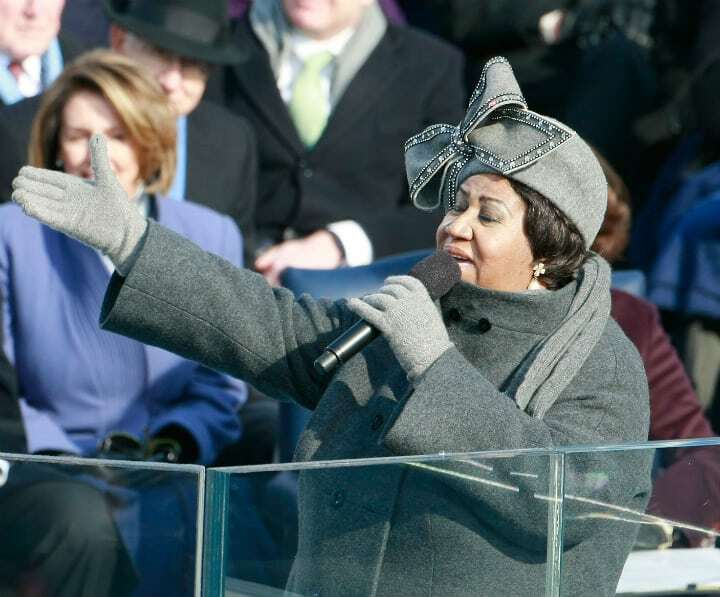 Her final inauguration honor was for Barack Obama in 2009 when she sang “My Country ‘Tis of Thee,” donning the hat that became super famous. Franklin was also awarded the Presidential Medal of Freedom, the highest civilian award, in 2005 by George W. Bush. 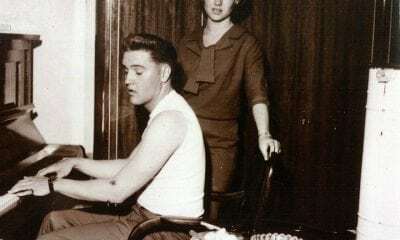 In what some fans might regard as a true twist of fate, Aretha Franklin, the Queen of Soul, shares a forever link with none other than the King of Rock and Roll, Elvis Presley. Franklin parted from this world on August 16, 2018, while Presley passed away on the same day in 1977. What’s more, Aretha might have considered the city of Detroit, Michigan close to her heart, but she was born in Memphis, Tennessee. Presley died and is buried on the grounds of his Graceland mansion in Memphis. Now that’s what you call more than a coincidence! 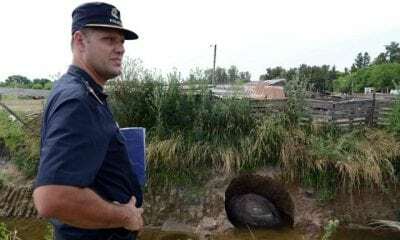 If you found this article interesting, please SHARE with your friends!